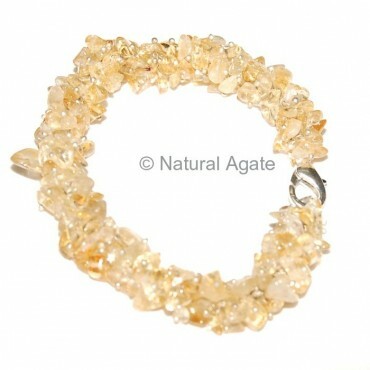 Citrine Hand Made Chips Bracelet is 7in long. It is a lovely colored bracelet that will add charm to your beauty. It is available on Natural Agate.